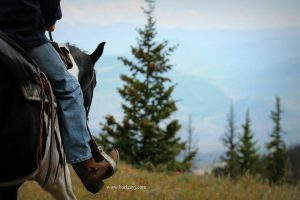 Dude ranches or guest ranches – whatever you call them, they offer incredible experiences with potential life-changing benefits for the people who come to work for a season. There are tremendous opportunities and experiences to be had. 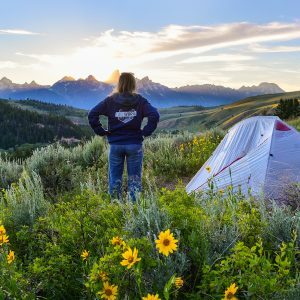 If you’re doing it right, being a part of a guest ranch staff is being part of a whole new family—a RANCH family—who share a common goal of providing an unforgettable vacation for others, while having an unimaginable adventure of their own. Can you picture it? Waking up on a cool morning to the sounds of horse feet (unless you’re one of the wranglers and then, uhhh…YOU’RE LATE! 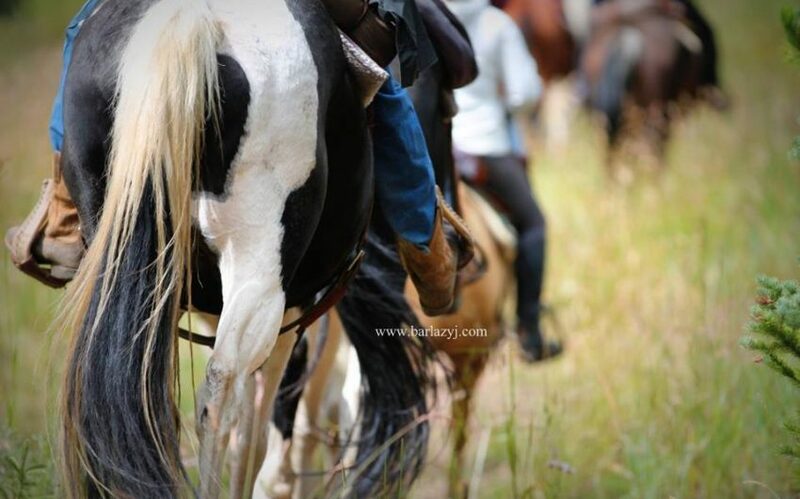 ), getting a hearty breakfast from the kitchen, and then spending your days laughing and sharing with the ranch guests you’ll want to keep in touch with for years to come; eating your lunches out on the trail with your horse; spending evenings listening to music and relaxing by a warm fire with others equally exhausted from the fulfilling day of hard work and fresh air. Do you love the outdoors? Do you love to meet new people? Would you enjoy walking just a few minutes to work, being paid to ride horses, lounging by the pool on your breaks, getting served 3 meals a day, being surrounded by beautiful countryside just waiting for you to explore it? Well that’s a glimpse at working on a dude ranch for ya. It’s all that and more. So you’re probably thinking, “That’s what I want to do! Sign me up!” But hold on there, pardner. 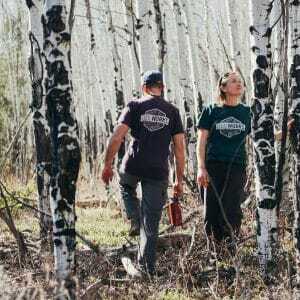 Because although working at a dude ranch might seem right up your alley, there’s a bit more to consider and some pretty tough competition out there. 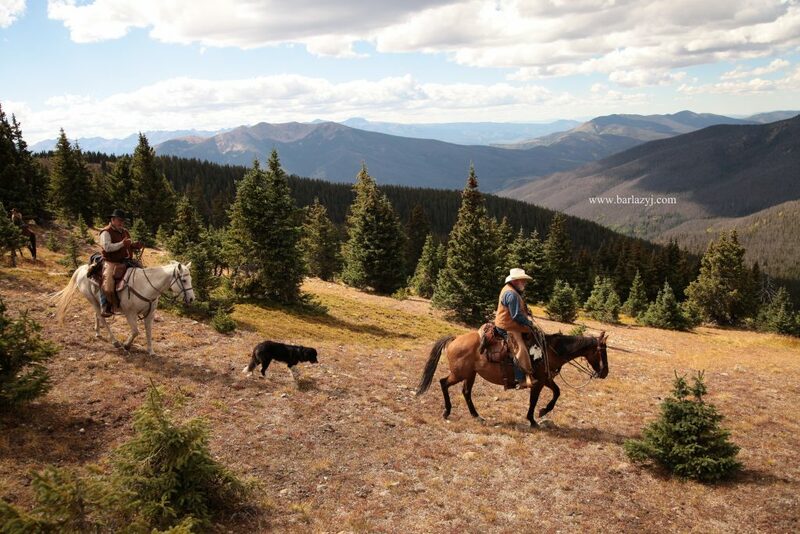 And although it might sound like a holiday, a guest ranch job is HARD WORK. Since most ranches only hire a certain number of positions every summer, you need to be sure that you’re right for THEM. So maybe you answered “yes” to all the questions above, but let’s check out these ones, too. Really think about these ones. Can you work long hours and be counted on to do your part? Can you be relied on to do other people’s parts if you’re needed without complaint? Can you smile even when you’re having a bad day and leave your personal problems outside of work? Can you stop whatever you’re doing to make time for your guests’ needs at the drop of a hat? Can you be on time and ready to go every morning and throughout the day? Can you give the same genuine smile from morning til night? Can you work in a team, but be dependable on your own? Do you keep your word? Hold yourself to a high standard? Take pride in your appearance and your performance? Have a willingness to learn and become better? Ok, so who’s still with me? If you are—GREAT!!!! It’s possible you’re a good candidate for potentially the BEST job you’ll ever have. It’s not likely going to make you a fortune (sorry), but I am talking one of the best summers of your life. Remember all of those cool, exciting scenarios I mentioned at the beginning? They’re mixed in with all of those things I mentioned afterwards. Working at a guest ranch can be one of the most rewarding things you’ll do and remember forever—or it can be one of the most miserable experiences of your life. Like anything—the choice is YOURS. 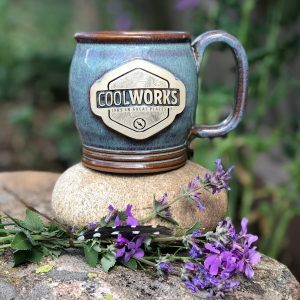 You might be thinking, “I would love to come to the mountains! I have a great work ethic!” And that’s awesome. That’s step one. But I mentioned before that the competition is thick and the positions open are few. Every ranch is no doubt different, but we personally get hundreds of applications every year for just a handful of open positions. So weeding through them to narrow down our best candidates is our first task. Just because you send in an application doesn’t mean we’ll be calling your references and contacting you to let you know our decision. Unfortunately, there are just far too many applications for that and we’re busy booking reservations for the next season as well. It’s important to be honest, straightforward, and candid in your application. There are a few times when a persuasive applicant was able to “write their way” into being considered. Because ultimately, the right attitude is one of the most important things about working at a guest ranch. And this one I can tell you from experience because this was me – 15 years ago. Young and, although I had worked with horses throughout my life, less experienced than probably some others who were applying. But my desire to offer everything I could for the good of the ranch came through in my words and got my foot in the door. Then my willingness to learn, earnest hard work, and love for the guests kept me here. It may quite possibly be the best summer of your life. And it may even change you forever. If you’re doing it right…and if you’ll allow it. Be prepared to have a lot of fun, but be prepared for all the responsibility that comes with making EVERY week the BEST week of the season. From your first day until your last day, there must be diligence in proudly presenting yourself. Any job worth doing is worth doing RIGHT. We work hard and we play hard. Yes, you may be asked to lay your pride aside to make children laugh. Yes, you may be asked to help with something during your “off-time”. Yes, you may get frustrated now and then living and working with the same people day in and day out. But we are a family. And if you aren’t “all in”, then you’ll entirely miss the point of what we do, what we give to our guests, and what we are blessed to take with us when we go. 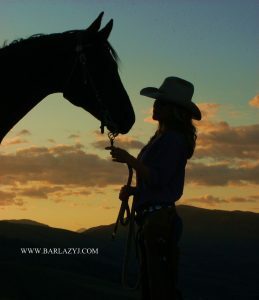 Read the unabridged version of this fantastic blog post and learn more about the opportunities available at Bar Lazy J.
Tammy Yurich joined the Bar Lazy J ranch family in 1999 after her Freshman year of college – she was the youngest person ever hired at the ranch. At the end of her first summer, she had planned to leave in August to head back home. She called a week later to ask if she could return and finish out the season. After that, the rest is history! 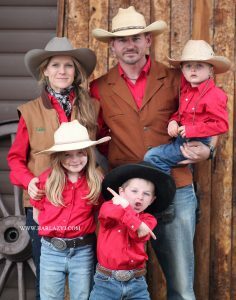 Tammy met her husband at the ranch in 2003, they got hitched in 2005, and today are raising their 3 kids on the ranch. She’s worked many a position over the years and is currently the Kid’s Program Director and Activities Director for Bar Lazy J during the summer. 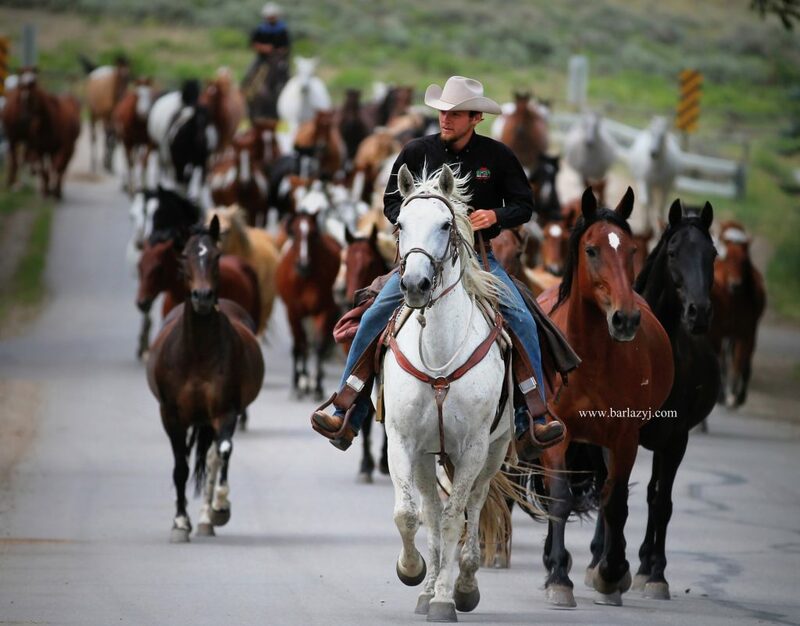 She then fills the boots of the Ranch manager role during the off-season to handle calls and reservations, as well as curating the ranch blog and running their social media outlets.